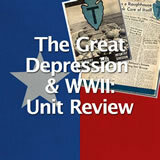 Students identify the causes of the Great Depression. 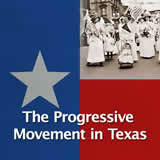 They describe the ways in which the Great Depression affected American workers and analyze the impact of the Great Depression in Texas. 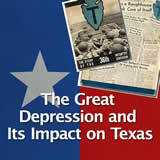 In this experience, students identify the causes of the Great Depression. 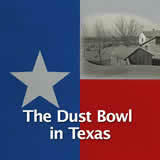 They describe the ways in which the Great Depression affected American workers and analyze the impact of the Great Depression in Texas. 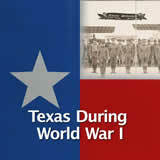 Identify the causes of the stock market crash of 1929. 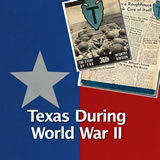 Describe the ways in which the Great Depression affected American workers. 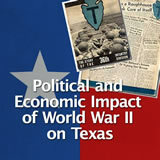 Analyze the social and economic impact of the Great Depression in Texas. 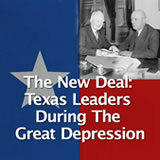 The period from 1929 to 1942 in American history is known as the Great Depression. 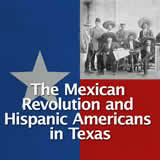 You will be exploring some of its causes and how it impacted people in Texas. In a word or short phrase, share what you think about when you hear the word depression. Answers will vary. Possibilities include: unhappiness, sadness, feeling down, tough times, unemployment. Talk about how the word can be used in many contexts: it can describe how a person feels, it can describe a sunken place on a surface, and it can also describe a downturn in the economy.